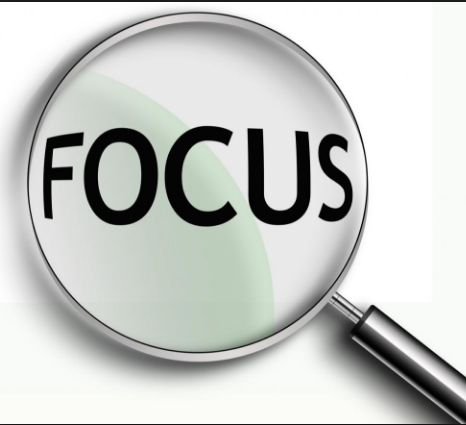 Harnessing your focus can make all the difference. If you are reading this article, chances are you might have seen it posted, shared, or tweeted somewhere, and you might even be scrolling this through this on your phone. We are all more connected, more plugged in, more on-demand, and busier than ever before, but the following question is being asked more and more. Does all of this connectivity and communicating actually make us more productive, and allow us to get more things done in less time? The answer might not be to your liking. Thinking about this for a minute, and the following reality most likely becomes readily apparent as it pertains to your working, studying, and research habits. If you are trying to complete an especially complicated task, which can range from a complicated project at work to trying to pass the CPA exam, you quickly realize trying to multitask on social media does not result in optimal performance. The ability to focus, think deeply, have the mental bandwidth, and create innovative solutions to problems represent some of the most sought after skills in the workplace today. All too often, however, and probably including you as you are reading this article, we find ourselves perpetually distracted and unfocused on the task at hand. This paradox, the increasing importance of focus and critical thinking alongside the fact that we all are, almost to a person, constantly distracted, is creating an unsustainable situation. Compounding this problem is the reality that such a consistent lack of focus and critical thinking is not merely an academic problem, but something that impacts all of us on an almost daily basis. Personal finances, putting together a spending plan, and making sure that keep yourself on track with your personal finance goals represent some of the most complicated and complex challenges facing individuals today. Most people know that finances are important toward establishing a successful plan for navigating personal and professional life, but a consistent question remains on how best to carve out time for deep thinking and planning. Taking a logical view of the many multifaceted issues that are facing individuals as they try to improve their finances, in conjunction with managing the many other demands on their time, it does not appear logical to recommend complete isolation for thinking as a potential solution. Neither it is reasonable to ignore the reality that, all too often, things happen that are beyond our control in both the workplace and our personal lives. Acknowledging these realities, and working within these constraints, there are several concrete steps that can be taken today to help you carve out more time for deep thinking and work. Let’s take a look at few steps you can start today to help you carve out some time to work on your improving your finances, mental well-being, or whatever other project is most important to you. 1) Take back your schedule — Clearly you cannot simply block out entire days for personal improvement and deep thinking, but even blocking out certain hours or periods of time is a productive start. Simply focusing on yourself for 10–15 minutes a day can really make a difference over time, and starting today helps you get this started. 2) Select one thing — It is tempting, and I am guilty of this myself, to try and do everything your possibly can, all at the same time. Doing this, however, flies in the face of what you are trying to accomplish when embarking on a deep work or critical thinking initiative. Pick one thing you want to improve, set aside time to work on it, and you might be surprised at how much progress you can make in short order. 3) Turn off your notifications — This one might be the most painful of these suggestions, but it also might do you the most good toward accomplishing your goal. It is going to be next to impossible to focus, concentrate, and put in that deeper thinking necessary if your phone/table is buzzing and beeping every few minutes. Even better, turning off your notifications is not a permanent action — you can always switch them back on later. Critical thinking, and the ability to truly focus and think deeply on the matter at hand represent areas that are increasingly in demand by both employers and individuals. The paradox, however, is that even though we all seem to realize the importance of critical thinking and focusing on our work, is that we set ourselves up to be constantly distracted. Taking a few minutes to instead set yourself for higher level, and higher focused, work might make all the difference in your attempts to overhaul your finances, finish that complicated project, or make whatever big change you are considering.